1. 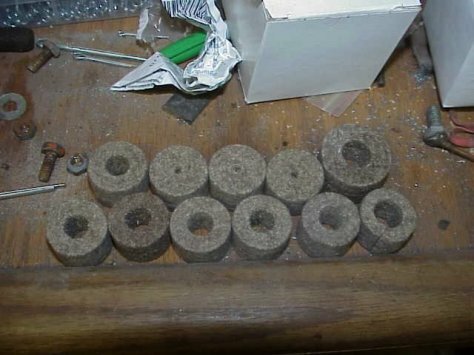 When you get the felt grommet set and you place them up against the firewall, you think 'How on earth are these going to fit'. With a little work, they actually go in easy. Watch your knuckles though... if you can get through this without shedding blood you did a good job.In Addition, Read this whole article first, because some of the cables you have to have in place and around the grommet before inserting. 2. Here I show how to get the grommet into the firewall without a cable already inserted (for demonstration). 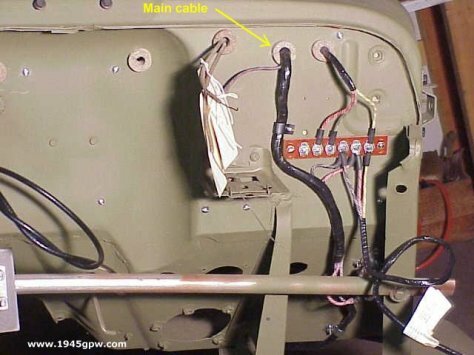 I would have all the cables out the firewall holes to start, that way you can wrap around the cable as shown below. The key is starting the grommet in the hold on the center slit. Fit as much as you can stuffing the grommet into the hole. Try to get the center slit around the edge of the firewall hole without a cable. 3. 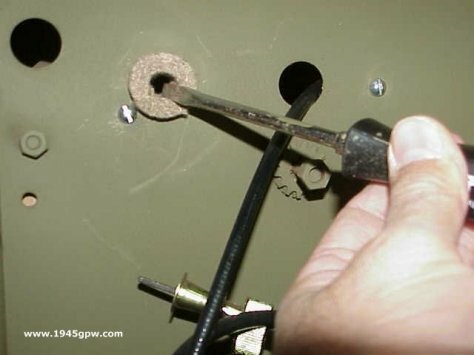 With a screwdriver, try to push the grommet into the firewall hole while trying to get the center slit to open up and surround the hole. Do this slowly and it works pretty well. 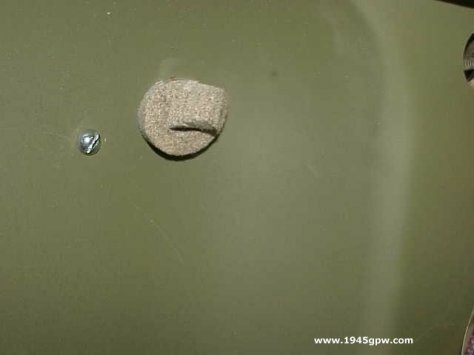 Do not push to hard because you don't want to tear the grommet or push it to far into the firewall hole. 4. 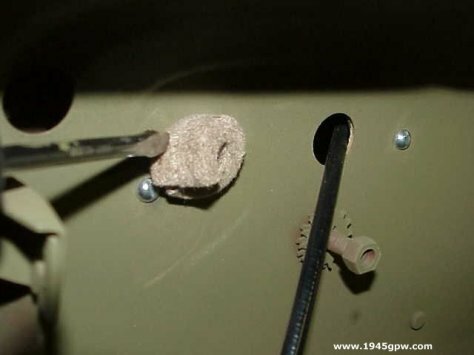 Once you have the grommet in, move your screw driver around the inside of the hole so that the slit on the center of the grommet is fitted well around the firewall hole. 5. 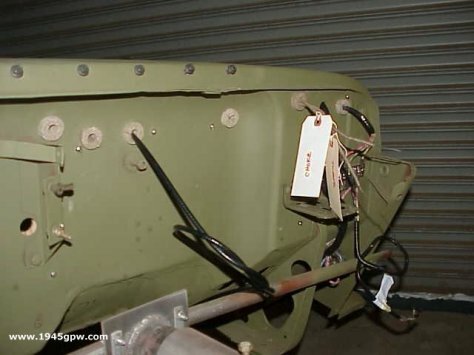 As mentioned above, some of the cables are pretty thick (speedo and Main harness), and they have to be inserted at the same time as the grommet like the speedometer cable. 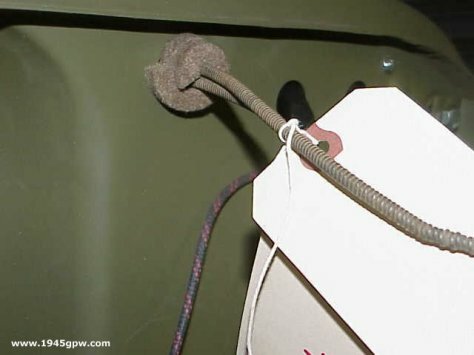 We use the same technique above, only we wrap the grommet around the cable first, then proceed as you did above. 6. 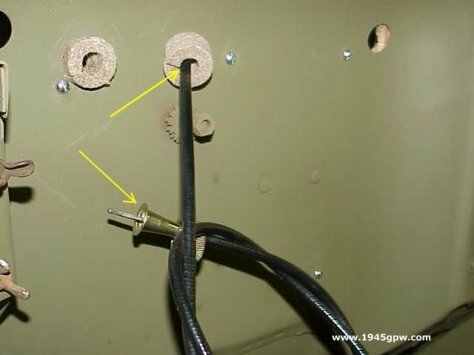 You can see in this picture why you have to insert the grommet with the cable... You can push the head of the speedo cable through the grommet after it is installed, so you have to install with the cables already through the firewall hole. 7. 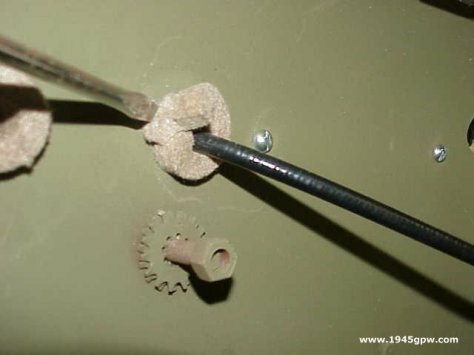 Like the speedo cable, the Choke and Throttle cables should be inserted first as well, and apply the same technique. 8. The most difficult grommet to install is the main electrical cable as it is the thickest. You have to work this grommet in a little slower as the cable is so thick. But once you have a couple of these in, you get the hang of it quickly. 9. That is pretty much it, pretty easy to do once you get the hang of it. Also, if you install a grommet, and you have to take it back out, just use your screwdriver to wedge it back out. Not to bad.